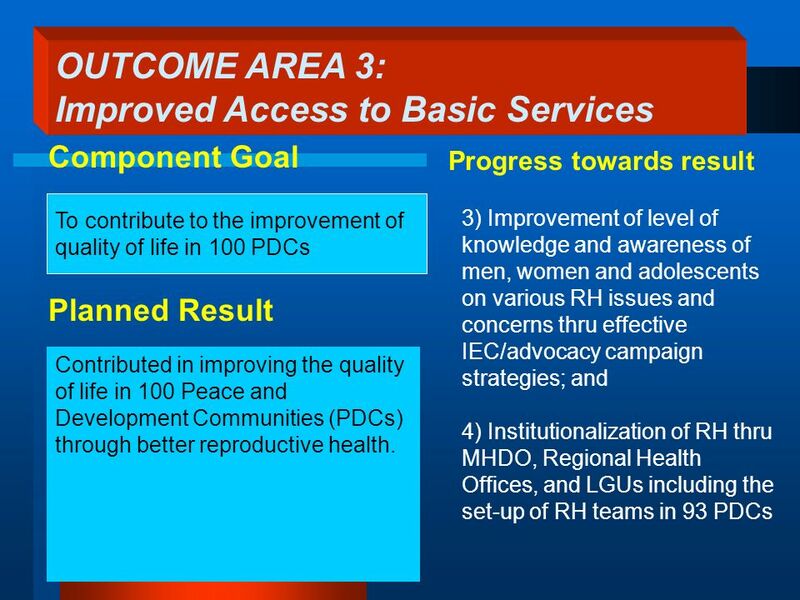 To contribute to the improvement of quality of life in 100 PDCs Planned Result 3) Improvement of level of knowledge and awareness of men, women and adolescents. 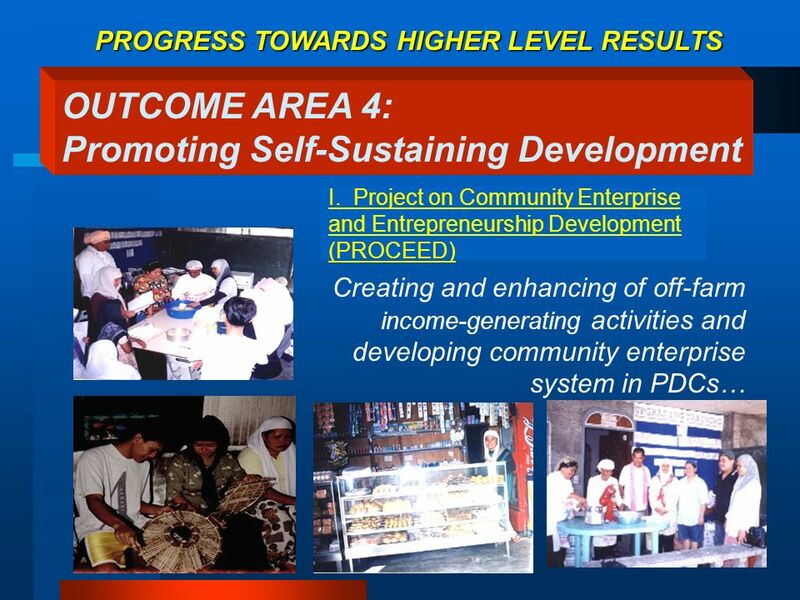 Download ppt "To contribute to the improvement of quality of life in 100 PDCs Planned Result 3) Improvement of level of knowledge and awareness of men, women and adolescents." 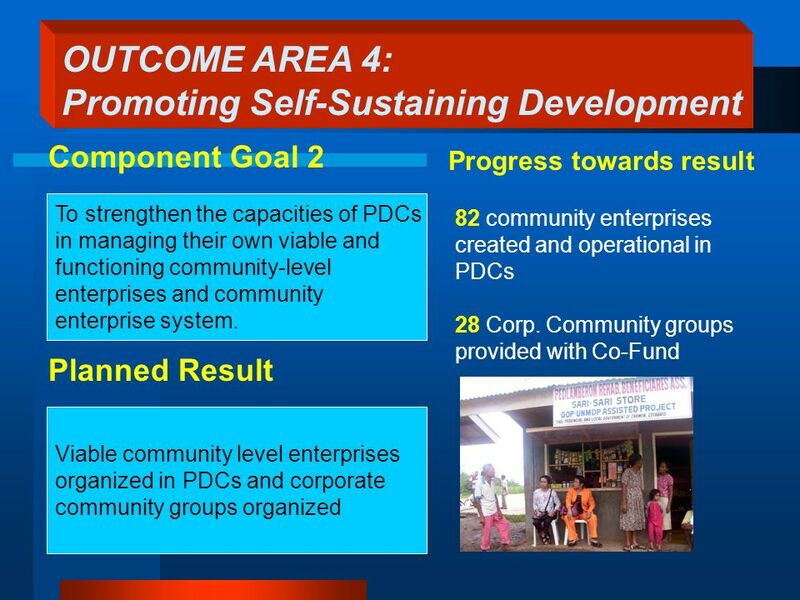 Planned Result 83 PDCs sustainable agri- based livelihood projects involving 85 POs in 14 provinces of Mindanao were assisted; 3,583 group members benefited. Womens Political Empowerment. Categorization of Projects under Thematic Area Capacity Building of Public Representatives Voters Education Capacity Building. Regional Conference on sharing experience on best practice in ICT services for persons with disabilities Cairo-Egypt November 2007. Decent Work: a socially dynamic concept The primary goal of the ILO today is to promote opportunities for all women and men to obtain decent and productive. What is Community……? Shares one or more common thing such as living in the same environment. Similar disaster risk exposure or having been affected by. Implementation of LEADER type Rural Development Measures July'06 Irish LEADER Support Unit An tAonad Tacaíochta LEADER in Éirinn Organising Capacity Building. UNDP/Spain MDG Achievement Fund The Dahshur World Heritage Site Mobilization of Cultural Heritage for Community Development. 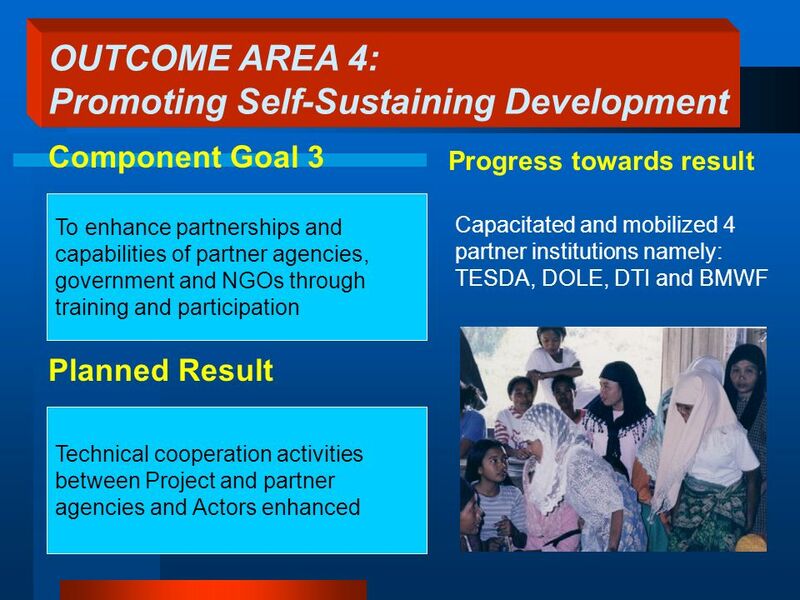 Progress Through Partnerships. Who we are  Founded in 1964 as the people-to-people component of the Alliance for Progress  Partners of the Americas. 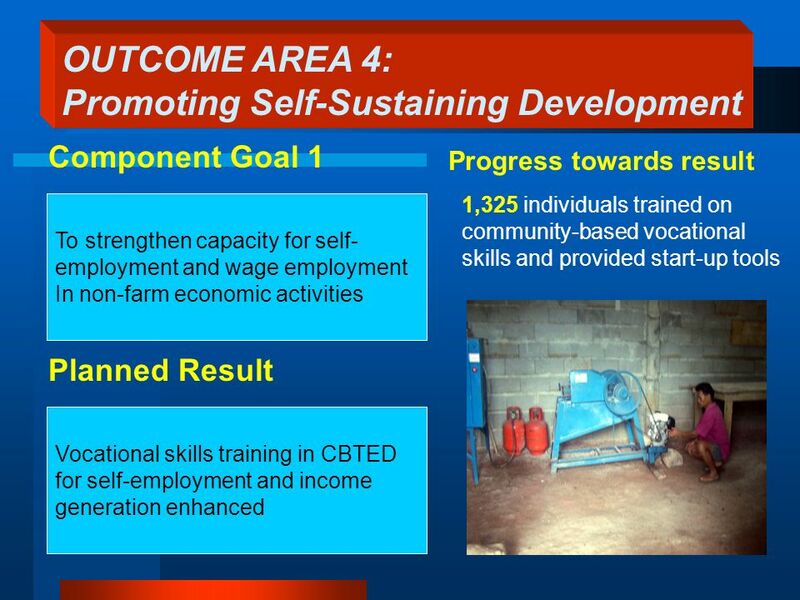 Youth empowerment by enhancing leadership skills with emphasis on active citizenship and peace education. Scunthorpe - New Futures with Digital Learning. Project Partners. 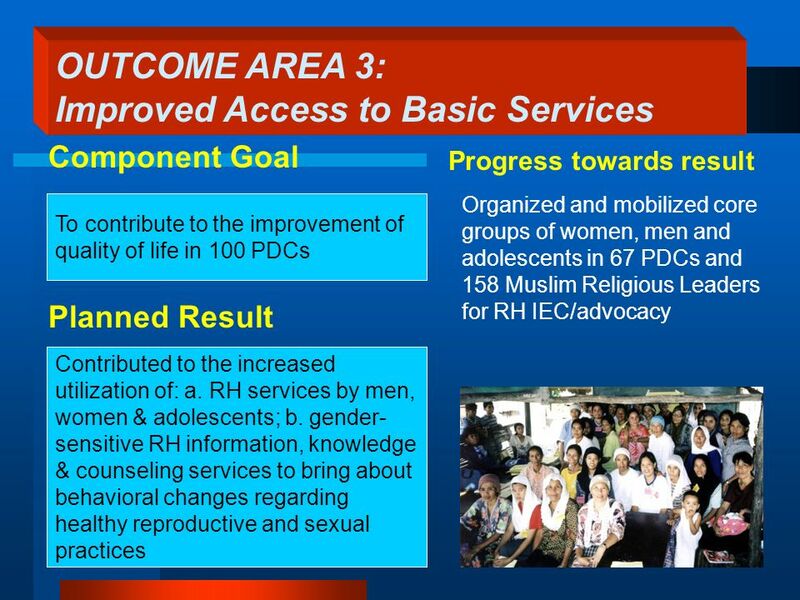 Outcome Framework for Health Services: Case Study of HIV/AIDS Thailand Nichawan Nuankaew.